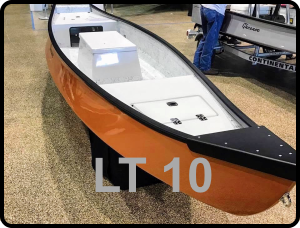 The new LT10 is the Gheenoe you need to see before you go buy that kayak. 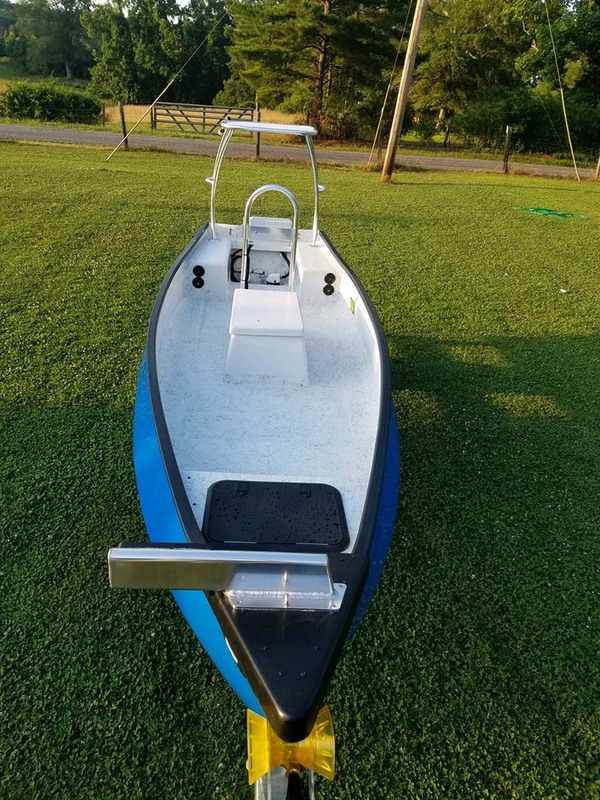 Weighing in just over 150 lbs., it offers the best of both worlds. 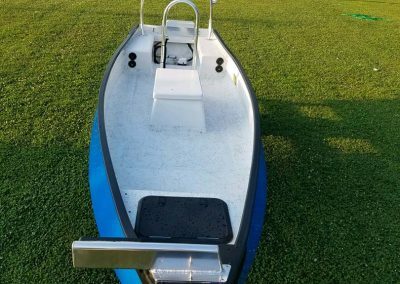 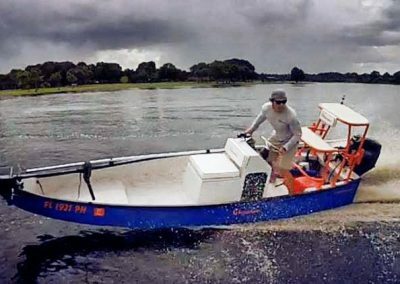 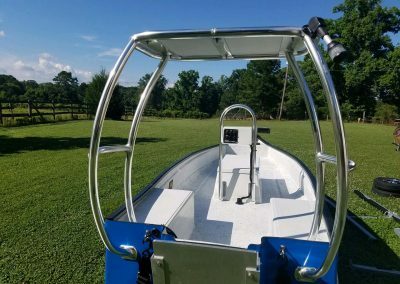 You can use a small outboard to get to those places your buddies don’t want to paddle to or take the motor off and fish those No Motor Zones. 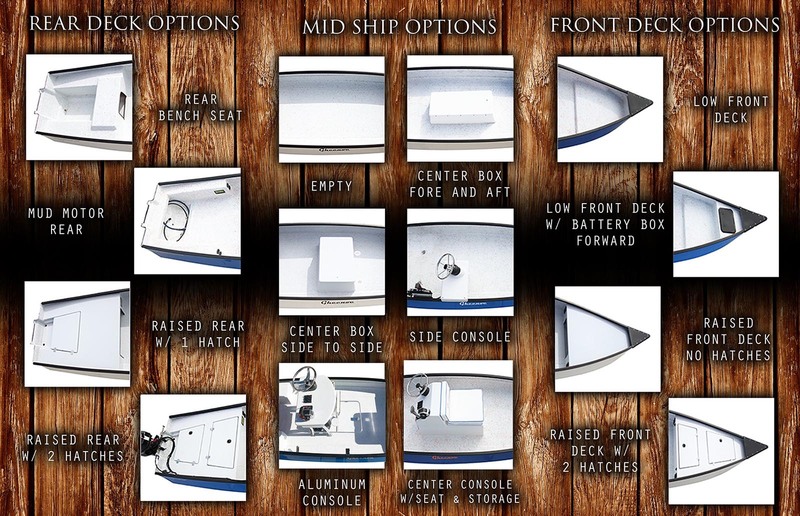 It offers a variety of different layouts to fit your needs. 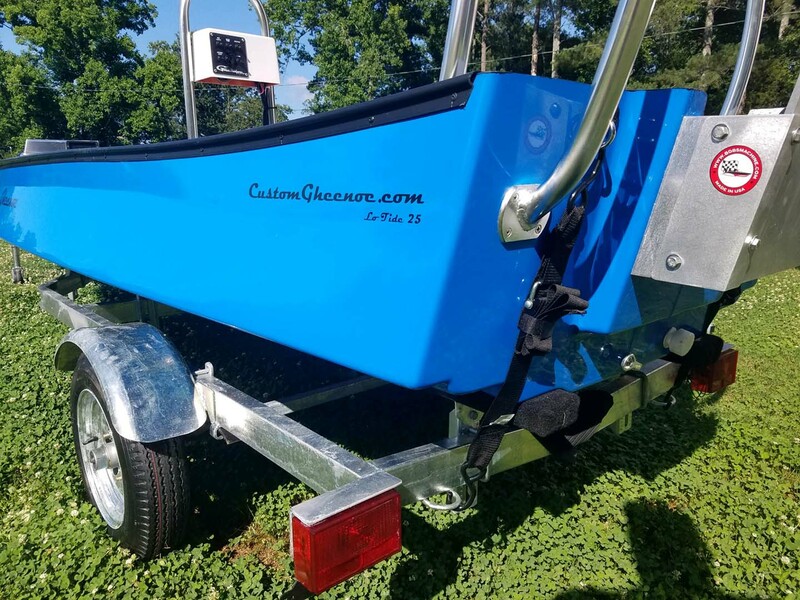 You can paddle or pole, car top or trailer, sit down or stand up with no problem. 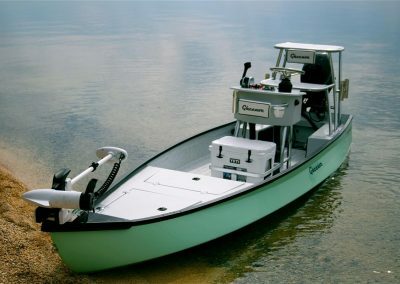 So if you are looking for an economical skiff to get in those hard to reach places, the LT10 is the Gheenoe for you. 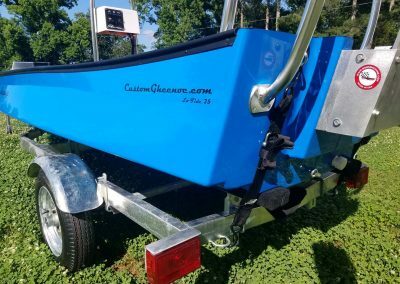 LT 25 Combines the benefits of an ultra-shallow drafting canoe and traditional skiff to create one of the most popular and capable micro skiffs on the market. 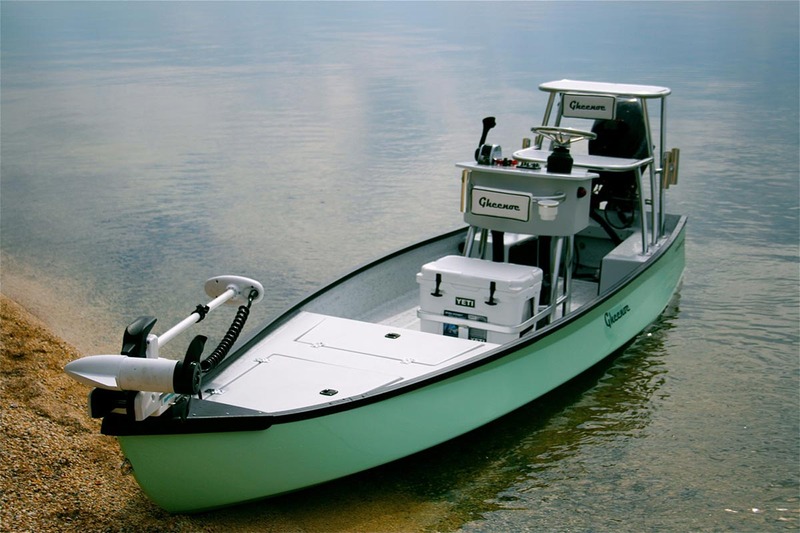 Incorporating the proven reverse chine design that allows for maximum stability, the LT 25 offers more space for anglers, tackle, gear and larger outboards. 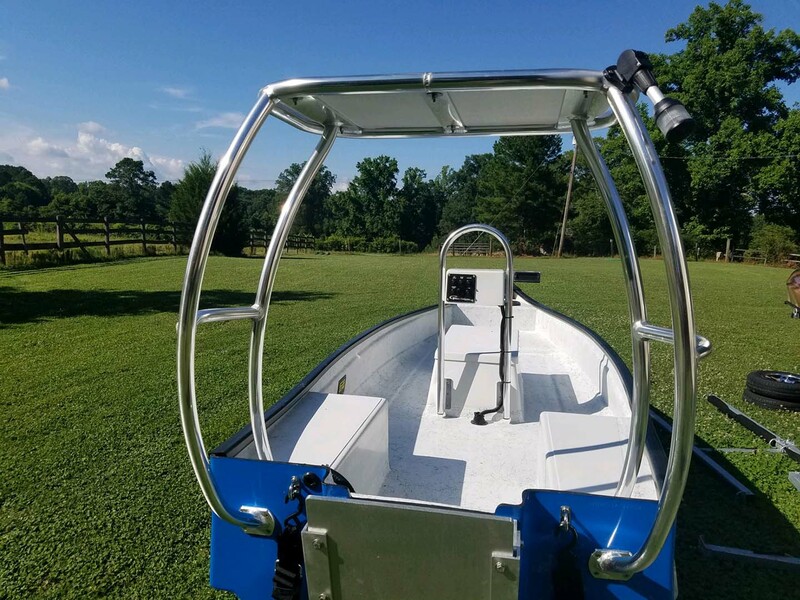 The LT 25 can be customized to the owner’s desires with the option of a tiller or center/side console. 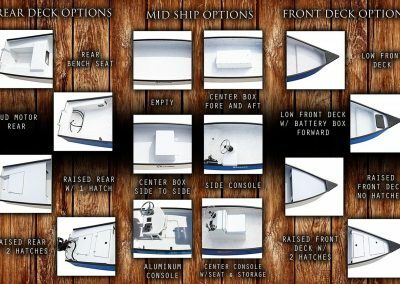 The newest model features an elevated fiberglass console that enables the operator maximum visibility. 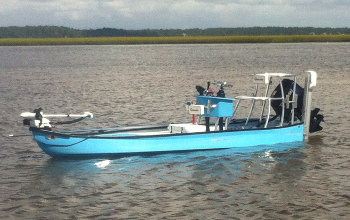 Outfitted with a 25 hp Tohatsu, the Low Tide 25 literally skips over the water’s surface and cuts through chop with ease.